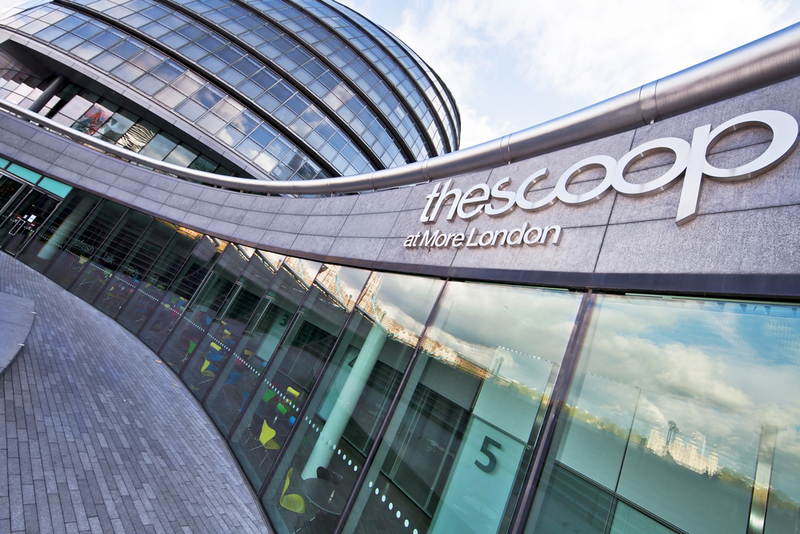 The Scoop is an outdoor amphitheater on the south side of the River Thames near Tower Bridge and the City Hall. 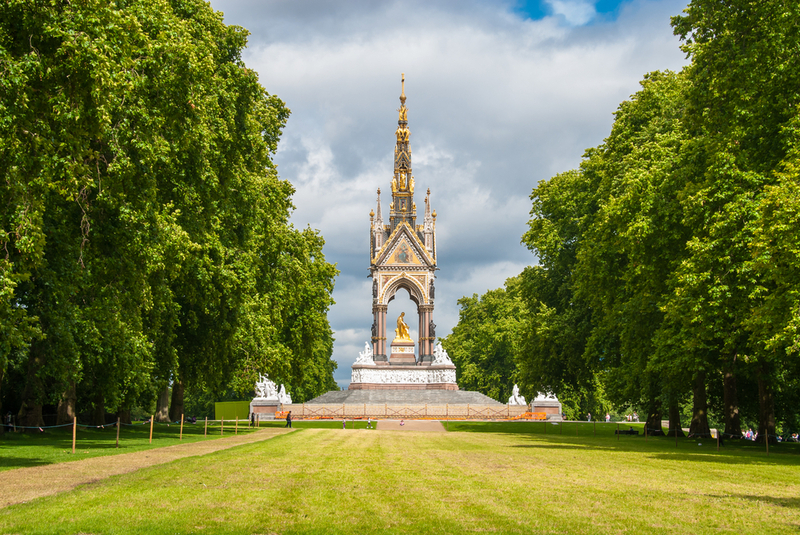 It has seating for 800 people who can watch live shows and see entirely free film screenings under the stars and surrounded by London’s iconic landmarks. The Scoop also put on live music events during the lunch hour so even the busiest professional can find time to relax and enjoy life. Although the summer shows are over for 2015, The Scoop will be hosting The London Bridge City Christmas Market. The event will feature more than 100 stalls, temporary bars and food venues where Londoners and tourists can buy artisan food, clothing and other hand crafted gifts for family and friends. The nearest underground tube station to The Scoop is London Bridge Tube Station which is only six minutes away. On leaving the station you walk south east on Railway Approach – a distance of around 190 feet. Take a sharp left towards Tooley Street (A200) and walk 266 feet, then turn left, still heading towards Tooley Street (A200) for another 26 feet. This will take you to a right turn onto Tooley Street itself where you will continue for 240 feet. Then turn left and walk 381 feet before taking another left turn and continuing for 305 feet. Make a right turn and The Scoop will be on the right. The distance is only 0.4 miles and a few minutes, or alternatively it’s just a short taxi ride from the Underground. Dismount your bicycle and walk left to arrive at The Scoop. It is possible to travel by car to The Scoop, although from the station area it takes longer to get there than if you walked. It takes around 14 minutes and there are tolls. Take a slight left onto Tooley Street (A200) and drive one minute to English Grounds. There are also other local tube stations. Borough Tube Station is only 13 minutes from The Scoop and Bermondsey Tube Station is 15 minutes away. If you are visiting The Scoop for outdoor entertainment options; the place has several things to offer. If you want to get fit and need the brisk air to help you wake up in the morning, you can take part in Project Awesome, an outdoor fitness and movement class that is held early morning every Wednesday between 6.30-7.30am. The London Bridge City Christmas Market is also on between 30th November and 3rd January and will feature different entertainment on different days. Winter Dream will transform London Riverside into a Winter Wonderland and you can watch Christmas movies in this beautiful magical setting every Monday and Tuesday evening from 6pm. Some of the films being shown include Miracle on 34th Street, Home Alone and Love Actually. There will also be live festive entertainment. Some of the Christmas Entertainment includes the National Health Carol Singers, Southwark Bell Ringers, London Baptist Association Christmas Carols, St. Joseph’s School Choir and North Wood Morris Men. (See More London for times). 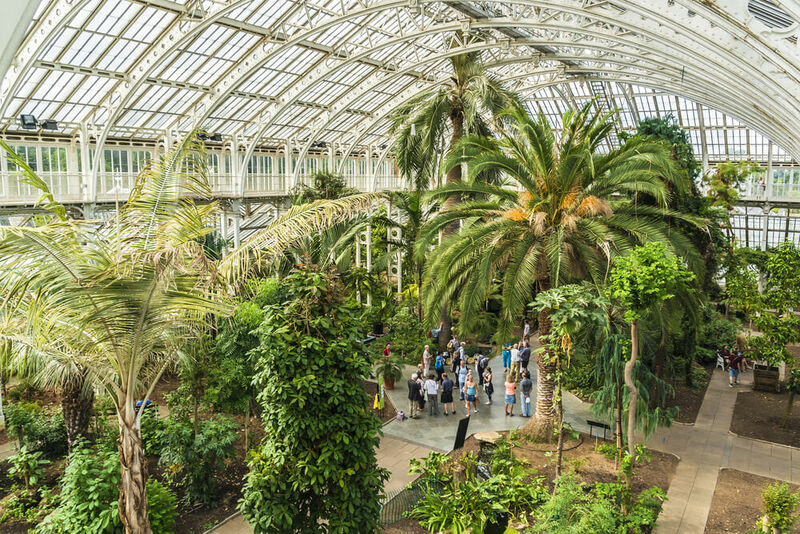 The Crystal Palace Band will also be playing on the 22nd December between 5.45pm-7pm at Hay’s Galleria. If you want to go Christmas Shopping and support the needy this festive season there is a charity chalet at the market who will be raising money for good causes on various dates. Charities being supported include the Mayor’s Fund for London, Great Ormand Street Children’s Hospital and Cambridge House. There’s a display of Pagoda lights around the market with changing LED light ribbons, waves and starlight to bring the sparkle and shine to the children. On the 5th and the 12th December at various times there is a children’s elf trail around London Bridge City. The London Bridge City Elpless Elves Trail will lead young visitors on an interactive adventure trail around the city. Performers will be present at various stops on the trail. Can YOUR child find Santa’s Elves? Attendance is free and you can book tickets online. If you’re looking for other things to do when you visit The Scoop, the area has plenty of other attractions. The Tower Bridge Exhibition – Tower Bridge is the oldest bridge in London and it’s been given new glass walkways to give you an outstanding view. You can marvel at the Victorian architecture when you peek into the engine room. The Tower of London – You can see the world’s most famous fortress, palace and torture chamber! The tower of London was also the last residence of the ill fated Queen Anne Boleyn. Hay’s Galleria – This is an old warehouse and wharf with stunning architecture. The grade 2 listed building is home to a variety of shops, pubs and restaurants. Old Operating Theatre Museum – If you love history, the tower of London isn’t the only attraction in London Bridge City that will get your attention. 9a St. Thomas Street is home to the Old Operating Theatre Museum. See the scream inducing old operating table, antique surgical tools and complete lack of sanitation and you’ll thank your lucky stars you were born in an era with antiseptics and anaesthetics. The Shard – The shard is our modern contribution to London’s architecture. It is the tallest building in all of London with viewing platforms that give you a spectacular view over London. One of the platforms is an open air terrace, but don’t try it if you’re scared of heights! To get there take English Grounds to Tooley Street (A200) for one minute and turn right onto Tooley Street for another minute, then continue on Tooley Street and take Montague Close to Park Street where you will find your destination. To get there from The Scoop head north west on English Grounds towards Battle Bridge Lane for 322 feet, turn left onto Battle Bridge Lane for 279 feet. Then turn left onto Tooley Street (A200). After 0.2 miles, turn right into Barnham Street and continue for another 0.1 mile. Turn right into Crucifix Lane and continue to follow the A200, then turn left into Snowfields and left into Kipling Street, where you will find the car park on the left. There are a number of discount hotels like Grand Royale Hotel Hyde Park which you could stay in to make the trip affordable. 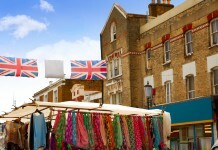 Share the post "The Scoop: London"